ERP stands for Enterprise Resource Planning. This is a type of enterprise software. An ERP system can perform a variety of activities that help manage an organization. If you are interested in learning about the many features these systems have to offer, keep reading below. An ERP system is a business-management software that is designed to assist businesses with various tasks, just as a business consultant would do. It is made up of a series of integrated applications that each serve a specific purpose for back office functions. 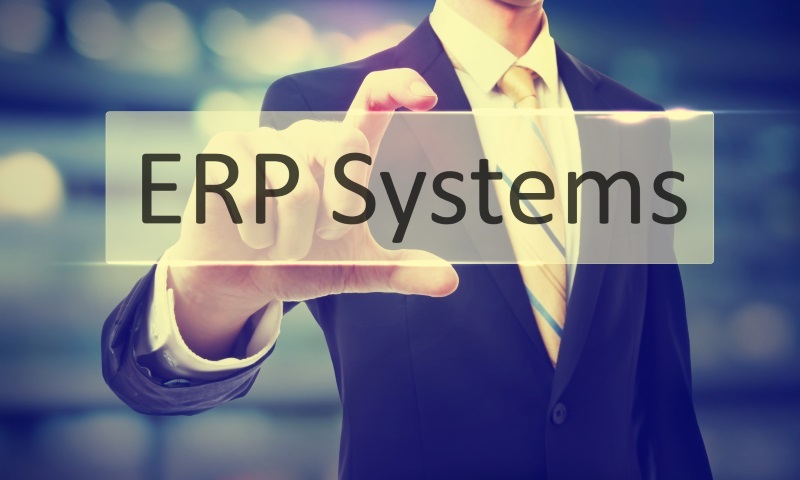 There are many different ERP products available on the market today. Regardless of what you choose, an ERP application is designed to help assist with production, planning, marketing and sales of business products. Now that you know what this system is, you are ready for a more in depth look into what it can do. Systems developed for ERP are designed to help you collect and analyze data. One way this can be done is through production planning. ERP software can create and track shop orders. Throughout the production process, the system logs productivity and tracks work as it is being completed. This software will then store and maintain work center information, so that you and your employees can review the success of their day-to-day operations. Then, using the knowledge gained from successful ERP implementation, you can work to improve timing and accuracy. For a management software that can keep your business running smoothly, consider having a look at the best ERP software available. Marketing and sales is another business area that can be improved with an ERP system. For sales, ERP processes can monitor transactions in real time. This data can then be collected and used in further market research. Additionally, the sales force automation feature that is available on many ERP applications allows organizations to fill the needs of their customers by determining the best opportunities for sales. The marketing features of software for ERP help to organize and manage information regarding consumer sales and campaigns. If you need something that will help organize your customer relations and market strategy, you need an ERP system. ERP systems are designed to make data storage and organization easier in order to mitigate supply chain risks. That is why ERP software is the perfect way to manage your inventory. When connected to your point-of-sale systems, an application for ERP can track everything that comes in and out of your store with no fuss. The numbers are logged and made easy to read, and you can count on the system to alert you to any excessive waste, returns or missing inventory. For an inventory system that never fails, consider the top ERP systems for your business. It is important to understand that ERP systems cannot do it all for you. ERP system failures do occur, just like any other business technology solutions. That is why computer troubleshooters exist. If an ERP system is not properly implemented, it may not eliminate inefficiencies for business at all. In fact, it may make matters worse. To avoid this, make sure to do away with old business processes that will not work well with the new ERP solution you decide to implement. Otherwise, the ERP system can actually reek havoc on business efficiency and productivity. The best ERP software comes with different applications for all of your business-management needs. In addition to sales, inventory and production, the best software can help to keep track of your most essential business activities. Now that you know all of the ways in which ERP systems are designed to help improve businesses, test it out for yourself. You will be thrilled to see productivity and sales go up just from the help of some enterprise software applications.